My good friend Tina Ferraro and I have much in common, including very similar paranormal YA book title names! We’re teaming up this weekend for our “Get a Life” giveaway. 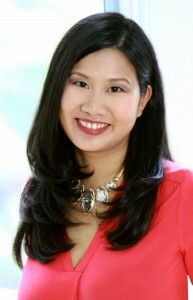 I’m giving away a Kindle e-copy of my book THIS IS YOUR AFTERLIFE and a Kindle e-copy of Tina’s HALF-LIFE. To enter the draw, simply head to Facebook, like my Facebook author page *and* the giveaway post. For an extra chance to win, make your way over to Tina Ferraro’s Books page, like her page and giveaway post. Easy, right? Entries close Sunday, April 24, 11:59pm US Pacific Standard Time. (That’s Monday, April 25, 4:59pm AEST if you’re in Sydney, Australia, like me.) Prizes will be delivered electronically via Amazon. Good luck, and have a fab weekend! High school sophomore Trisha Traynor and friends have played the Halloween mirror game for years, the one that’s supposed to show a glimpse of the guy they’ll marry. But no one’s ever seen anything. Until tonight—when Trisha is gob smacked by the candlelit arrival of her long-deceased twin sister, instead of her crush, Kirk Maxwell. In a voice and vision that only Trisha can hear and see, Chessie claims to be back on a compassionate journey. Trisha fears she’s gone nuthouse crazy. But she nonetheless follows the instructions Chessie outlines in their nightly conversations, until she finds herself stepping across some ethical lines, and probably ending all chances with Kirk. When a sisterly showdown ensues, resulting in the shattering of the mirror, Chessie’s gone again, and a heartsick Trisha sets about righting her recent wrongs. That is, until she stumbles upon the real reason Chessie had come back and the most important glimpse yet that the mirror could never predict. OUT NOW from Leap Books. When the one boy you crushed on in life can’t seem to stay away in death, it’s hard to be a normal teen when you’re a teen paranormal. OUT NOW from Bloomsbury Spark. It’s the start of my birthday week, and I’m giving away presents in an Amazon Giveaway! 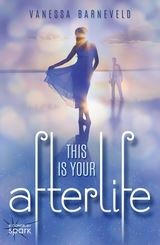 Three Kindle e-copies of my paranormal YA, THIS IS YOUR AFTERLIFE, are up for grabs. Entries are open to U.S. and D.C. residents only. Click here to enter the giveaway on Amazon.com! Please note this Amazon Giveaway is open only to residents of the U.S. and the District of Columbia. No purchase necessary. Ends the earlier of Mar 26, 2016 11:59 PM PDT, or when all prizes are claimed. See official Amazon rules at http://amzn.to/GArules. Good luck! If you’re visiting me from another locale, stay tuned for international giveaways in future! DANGEROUS BOYS – up for pre-order! Still super-excited here about the upcoming release of DANGEROUS BOYS, the YA e-anthology I’m contributing to along with Sara Hantz, Ebony McKenna, Maree Anderson and Robyn Grady! Even more so now that it’s just gone up for pre-order exclusively on iBooks for just U.S. 99 cents! Click here or on the pic below and it’ll take you to iBooks. Add DANGEROUS BOYS (Volume 1) to your GoodReads shelf. Tomorrow, of course, is Valentine’s Day, which I know people either love or hate or don’t care all that much for! But if you love *reading* about romance, head on over to my Facebook page, where I’m running a contest with my good friend and critique partner Pintip Dunn. We’re giving away prize packs consisting of Kindle e-copies of our debut YA books! Entries close 12:01am, February 15 US EST. Triple Cover Reveal – Theresa DaLayne’s Stone Legacy Series! It’s cover reveal time for Theresa DaLayne’s Stone Legacy series! Theresa’s running a Rafflecopter giveaway to celebrate the unveiling of all three covers in her paranormal YA series. To enter, click on the graphic below. Releasing in winter 2015 through Limitless Publishing. Add Mayan Blood to your GoodReads shelf. match her nomad life. Born in California, she migrated to three different cities in Washington State, a tiny island in Alaska, North Carolina, and finally to the suburbs of Ohio where she currently lives with her husband, three kids, vegetarian cat, and her ungrateful fish. FORGET TOMORROW, that is — the debut YA sci-fi novel by my critique partner, agency sis and super-good friend, Pintip Dunn! You won’t forget FORGET TOMORROW. It’s a high-stakes, thrilling story that’ll leave you breathless. 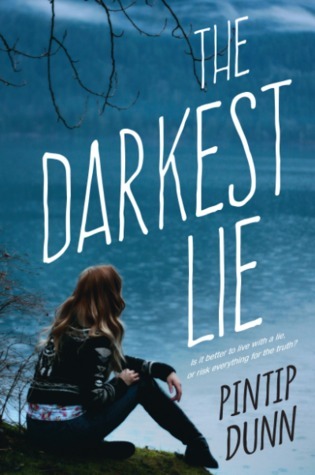 Pintip has worked incredibly hard to make this dream come true and I’m thrilled her first book is finally out TODAY. Congrats, Pintip! You could win a hardcover edition of Pintip’s book. To enter the draw, fly over to my Facebook author page, where I gave Pintip five quick-fire questions and posted her answers. In the comments trail, write your own answers to the quick-fire questions, then like/share the post on FB. International entries welcome. Entries close November 4 at 11:59pm, US EDT. ▪ Asa Maria Bradley‘s debut paranormal romance, VIKING WARRIOR RISING. ▪ Laura Trentham‘s contemporary romance, MELTING INTO YOU. ▪ Shelly Alexander‘s contemporary romance, IT’S IN HIS TOUCH. 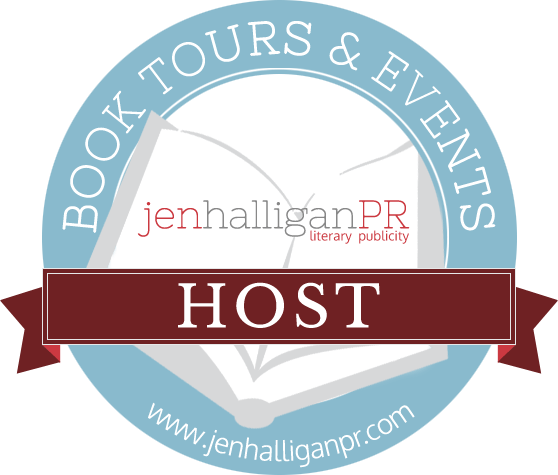 Treat or Treat — A Halloween Giveaway! YA author Tina Ferraro and I may reside on opposite ends of the world, but I feel like I’ve known her my whole life. She’s been such a great support throughout my writing career. This weekend we’re joining paranormal-author forces to bring you a very special Halloween giveaway! We’re giving away Kindle copies of my ghost book, THIS IS YOUR AFTERLIFE and Tina’s spooky e-novella, HALF-LIFE. In addition to our e-books, one lucky person will win an exclusive THIS IS YOUR AFTERLIFE mug (there’s just one of these babies in the world, you know!) and a chocolate spoon to die for. Haunt me over at my Facebook author page to find out how to win! Entries close November 1, 11:59pm Australian Eastern Standard Time. Good luck! Click on the graphic to reach my Facebook page. Probably not a good idea to take advice from your dead twin sister. High school sophomore Trisha Traynor and friends have played the Halloween mirror game for years, the one that’s supposed to show a glimpse of the guy they’ll marry. But no one’s ever seen anything. Until tonight­when Trisha is gob smacked by the candlelit arrival of her long-deceased twin sister, instead of her crush, Kirk Maxwell. In a voice and vision that only Trisha can hear and see, Chessie claims to be back on a compassionate journey. Trisha fears she’s gone nuthouse crazy. But she nonetheless follows the instructions Chessie outlines in their nightly conversations, until she finds herself stepping across some ethical lines, and probably ending all chances with Kirk. When a sisterly showdown ensues, resulting in the shattering of the mirror, Chessie’s gone again, and a heartsick Trisha sets about righting her recent wrongs. That is, until she stumbles upon the real reason Chessie had come back and the most important glimpse yet that the mirror could never predict. Thanks so much to everyone who entered the prize draw on Facebook. Our winners were Michaela D and Kelly C! Keep an eye out for more giveaway fun in the coming weeks.